Whanake: The Pacific Journal of Community Development is a bi-annual digital journal for practitioners and academics who love community development, and is edited by Gavin Rennie and John Stansfield. 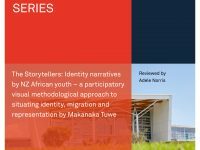 This issue features articles on epistemology and community worker education, intergenerational communication and Tongan youth, Samoan poetry praxis, and CD in Uganda. It also includes the new ‘Towards Shared International Standards for Community Development Practice’ produced by the IACD.